Good morning! I have two cards to share today, both using stamps from the April Great Impressions Stamps release. For the first card, I stamped the Flying By stamp directly onto white cardstock, then I colored it with Copics. I trimmed .25 inches from the cardstock before adhering it to blue patterned paper (Stampin' Up!). The enamel dots are My Mind's Eye, and the chipboard stars are Studio Calico. My second card features the new One Scoop On Top of Another stamp. 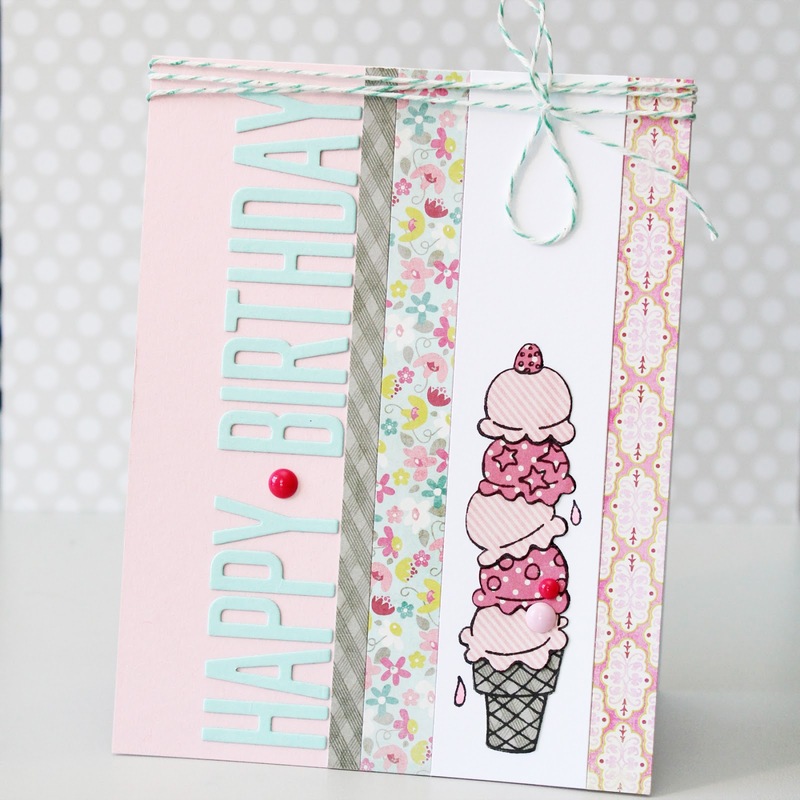 I paper pieced the ice cream cone with My Mind's Eye Collectible patterned paper. 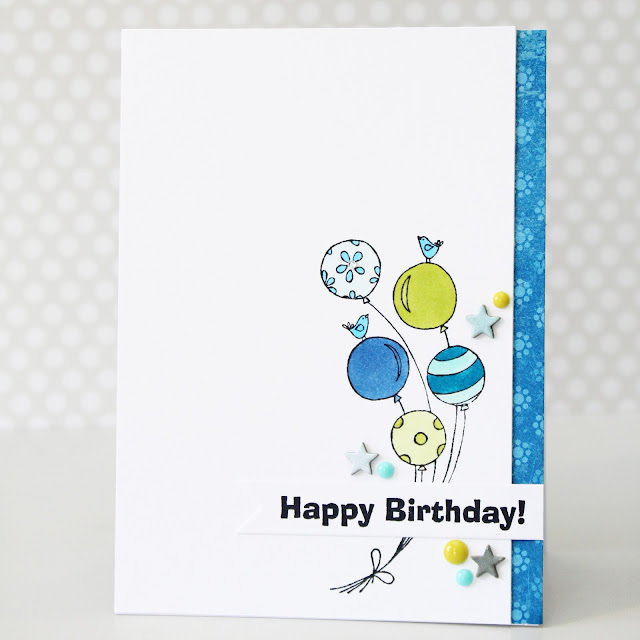 More enamel dots + Papertrey Ink's Headline Alphabet Die finish off the card. I love birthday cards. And these two are so bright and fun! Love all the white space and the fresh clean look Erin! Delightful cards, Erin! Love the sweet colors, and all that white space! Makes me want more GI stamps! Both of these are fabulous! Love the new stamps!